So you have successfully completed 2 months of pregnancy. During pregnancy third month, nausea, vomiting, mood swings would have increased immensely. But thank god, feeling of nausea and other symptoms are limited to this month. After third month of pregnancy all these symptoms will slowly subside and you can surely enjoy food in the coming months. 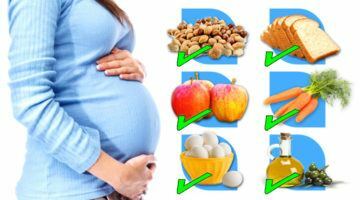 You should follow third month pregnancy diet chart to know what is good and what food is bad for you. Eat whatever is good for you and your baby. In pregnancy third month, there will be many things stressing you out. But hold on, Eating shouldn’t worry and bother you much. You will get to hear a lot of advice from your friends and family about third month pregnancy diet and what is safe and not safe during pregnancy. It may confuse a lot. For the first two months eating may not be your priority due to all the discomforts. But once you enter third month, all these symptoms will eventually start decreasing though food aversions and sensitivity to smell will be more evident. By now your cramping will reduce and your breast will no longer be sore. Your weight will begin to increase more quickly though. This is a very crucial time for the growth and development of your baby. So it is absolute necessary that you take care of your third month of pregnancy diet. 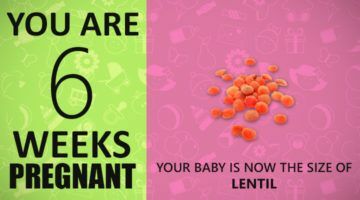 Until and unless you start eating healthy, baby will not get the required nutrition. Let’s have a look at the list of things that you must eat and avoid during third month of pregnancy diet and how to care in pregnancy. During third month of pregnancy diet and also during rest of the pregnancy it’s ideal to enjoy your fruits. We recommend you to eat fresh fruits than canned/ frozen ones as they may have presence of sugars and preservatives. Fruits are rich in nutrients, vitamins, antioxidants. They also contain water and fiber content is high. Make sure you choose your favorite fruits in all the colors. Also you can include fruits like Guava, Bananas in your pregnancy diet chart month by month which encourage proper weight gain. Vitamin B6 is an essential nutrient. Foods rich in Vitamin B6 help to boost your metabolism rate and fight symptoms like nausea, vomiting etc during third month of pregnancy. Eat lot of Spinach, Broccoli, green leafy vegetables, and fruits to get your daily dose of vitamin B6. Vitamin D is another essential nutrient which must be incorporated in third month pregnancy diet. It promotes the development of bones in foetus and also responsible for development of teeth. Fishes like mackerel, sardines, tuna, and salmon are an excellent source of vitamin D. Milk fortified with Vitamin D, Cereals, Egg yolk, cod-liver oil can also help to get substantial levels of vitamin D.
Carbohydrates are in-famous for increase in weight and are enemies of a perfect slim waistline. 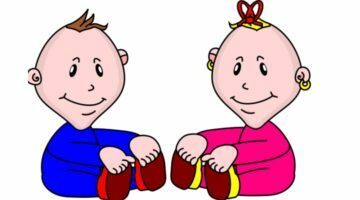 But they play an important role during pregnancy third month for the demanding growth of your baby. Simple carbohydrates present in whole grains items like Atta, rice, potatoes can gift you a valuable source of carbohydrates. But eating complex carbs like chocolates, ice creams, pastries will increase the risk of obesity later. Meats can provide you ample source of protein and all other nutrients since they are a rich source of energy. If you are meat lover than you can start eating, chicken, mutton and fish. Just be sure the meat is cooked well and prepared under hygienic conditions. Unhygienic meat can be a major source of pathogenic microorganisms causing diseases. 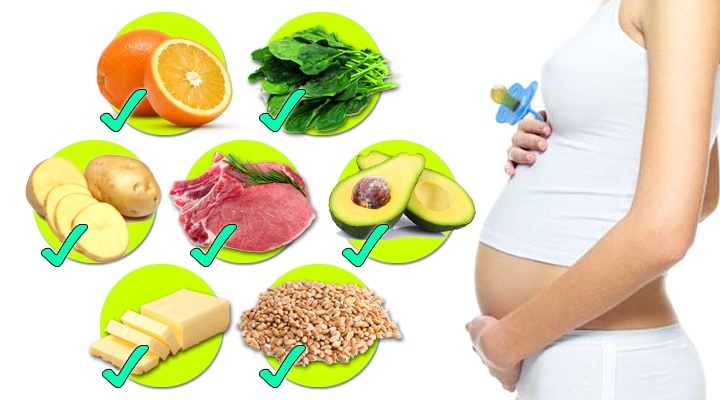 Folate and iron rich foods are very essential during third month of pregnancy diet and further. Folic acid supplements are suggested by doctors even before you conceive as they are very vital for the mental and physical development of the foetus. Failure to have the required dosage of folic acid can result in miscarriage or retarded foetus. Iron is also an essential element as the amount of blood in body increases when you are pregnant. Extra iron is needed to make more hemoglobin for development of placenta and to improve the immune system of mother. Make sure that third month pregnancy diet offers you both folic acid and iron. Eat variety of iron rich and folic acid rich foods like beetroot, oats, green leafy vegetables, fruits like chickoo, dates, apricots, Soyabean, Avocados etc. Pasteurized Milk and milk products are very beneficial during pregnancy. Calcium is essential during pregnancy third month. It provides your baby with strong teeth and bones and it also helps the would be moms changing body. Eat enough portions of milk, cheese, curd, Paneer and ghee. You must drink 2-3 glasses of milk daily or consume same amount of other milk derivatives such as Paneer, Cheese, Ghee, yoghurt etc. Also eating required amounts of dairy products reduces the chance of blood clots, makes your muscles strong. Secondly, if a pregnant woman doesn’t take enough of calcium in her diet, the baby will extract it from the calcium reserves present in mothers body. This will increase the risk of Osteoporosis to mother in future. If you are a vegetarian or if you don’t eat meat than you can get all the necessary proteins required from cereals and whole grains or Nuts. 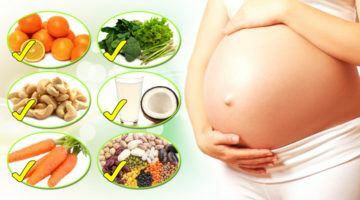 A balanced vegetarian third month of pregnancy diet that includes all of the above will take care of your protein needs. Variety and moderation are important in vegetarian diet. Water is a building molecule of our body. It is essential to drink minimum of 8-9 glasses of water in your diet. If you get bored of drinking plain water than opt for herbal teas, lime water, tender coconut water etc. Go easy on packaged fruit juices since they come loaded with calories. Fresh juice is always healthy and best. Remember to drink boiled or filtered clean water to save you from any water borne diseases. If you are a working woman, than carry a bottle of water or buy a branded packaged drinking water. We are always given all the information about what to eat and not to eat by other elder women, neighbors of the house. 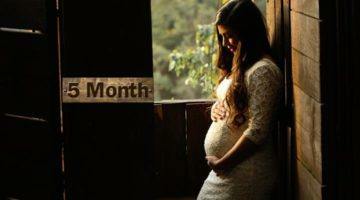 I am sure you get confused with the overflow of advice’s regarding diet during pregnancy month by month. It’s better to listen to them and also check with your doctor once. Avoid late night snacks in third month pregnancy diet and even further. Also restrict unhealthy fats, sweets as it has no nutritional value and also will increase your weight unnecessarily. 1) Drinks – Caffeinated drinks like coffee must be in limited as drinking lots of caffeine can even lead to low birth weight and even miscarriage. Restrict to only 1 mugs of instant coffee limit of 200 mg a day. Also limit to not more than 2 cups of tea. Carbonated beverages are a big NO during third month pregnancy diet. 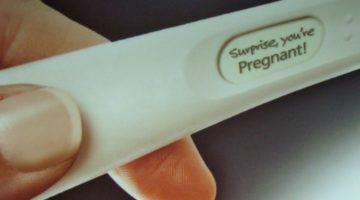 First trimester is very delicate time and has maximum chances of baby miscarriage so it is not good. If you decide to drink, don’t have more than 1 or 2 units per week after first trimester, which can be a small glass of wine. 2) Fast Food – Fast foods like burger, pizza, tandoori chicken, and Chinese food seem to be very tempting during third month of pregnancy but avoid it and control your cravings. These foods contain pathogenic microorganisms which can be harmful. 3) Seafood – Fish has ample quantity of fatty acids like omega-3 that helps in brain development of babies. It can be an ideal meal choice otherwise. But during pregnancy third month choose to avoid fish as it has presence of methyl mercury which is said to be linked to brain dysfunction in foetus. Control your desires to consume seafood until the baby pops out. Though some fishes like Mackerels, sardines, salmon are said to be having less levels of mercury and can be had to satisfy your fish cravings. But some types of fish has huge amount of methyl mercury in them. E.g. Shark, Swordfish, and other fishes that have a longer life span, accumulating high quantities of mercury in their body. The mercury binds tightly to the proteins in fish muscle and remains there even after you cook fish. 4) Cooked Deli Meats – Deli meats are a rich source of protein but they can have microorganisms like Listeria which can cause diseases like Listeriosis. It is advisable to heat them till steam starts coming and then relish on them. If you can give this a pass during your third month of pregnancy and even later, than that would be great. You can snack on other rich sources of protein like egg, chicken, beans, nuts etc. 5) Tinned Food – Tinned foods have presence of excess salt and sugar. Be it peas or Pickle. They do have artificial flavors and also preservatives. You can make these items fresh and relish them instead of canned food items. 6) Unpasteurized Milk Products – During this important month, act responsibly to save from risk of any infections caused by Listeria or food poisoning microbes. Use only pasteurized milk products. Always use milk products which are made at home. While dining out, avoid preparations made of cottage cheese like paneer sandwiches or paneer tikkas etc as we are not sure how fresh the cottage cheese is. 7) Eggs in third month of pregnancy – Nowadays eggs are present in almost many food items. Raw eggs may be a major source of Salmonella. Salmonella is a microorganism responsible for food poisoning which can be fatal and also lead to death. Check for presence of eggs when you order food in restaurants like Caesar salad, scrambled eggs or any dish in which the egg is present. Cook eggs fully. Pregnancy is a phase where a woman has to be more careful about the choice of foods she makes. Around you there will be lot of people giving good as well as bad advice, but it is up to you to check with your doctor about the pros and cons as he will always guide you correctly. 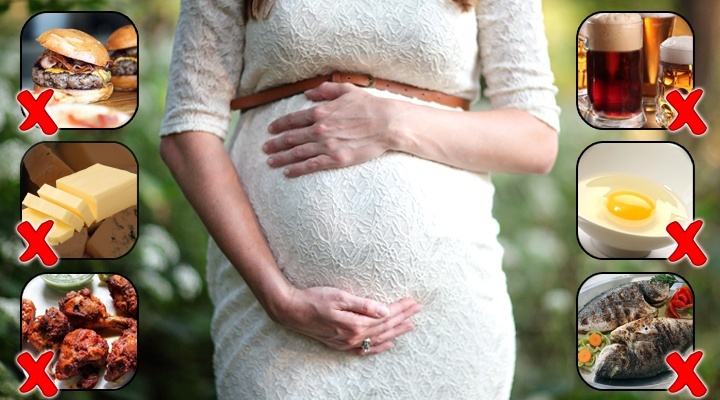 The foods that a woman eats during pregnancy can have an effect on the development of her baby. If strict diet doesn’t appeal you play with different combinations of food to make it innovative and also tasty. And remember, the little life developing inside your body. So eat healthy, eat well and enjoy this magical moments of third month of pregnancy!